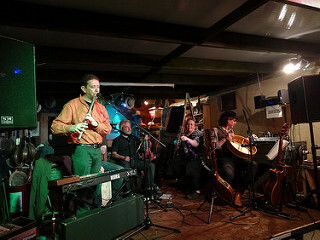 Amorphous in number but certainly not in content Govannen constantly delights audiences with an eclectic mix of songs and tunes. Originally a trio, the group is now a regular four-piece band but has the benefit of another member to call upon when a fuller sound is required – as the new album, The Endless Road, testifies. 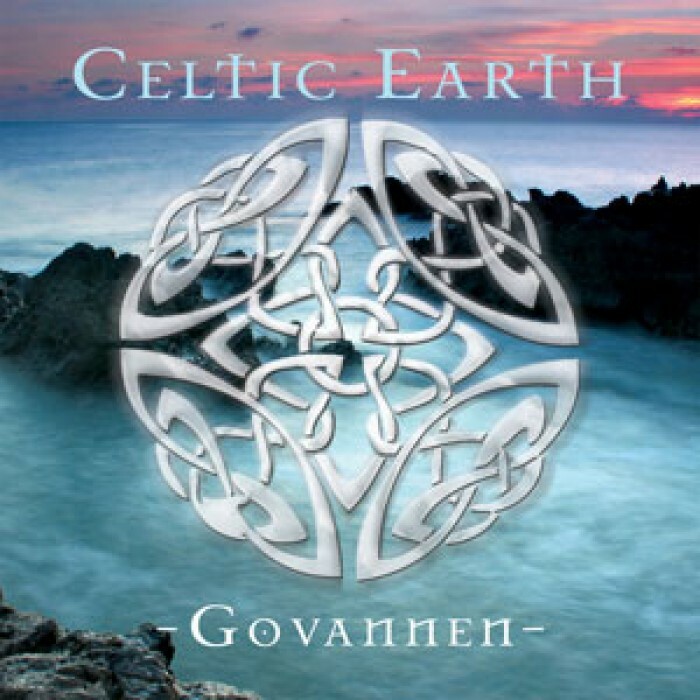 Although several members had known each other for more than 20 years and, on occasion have played within the same group, Govannen as an entity, only came about in name around ten years ago. 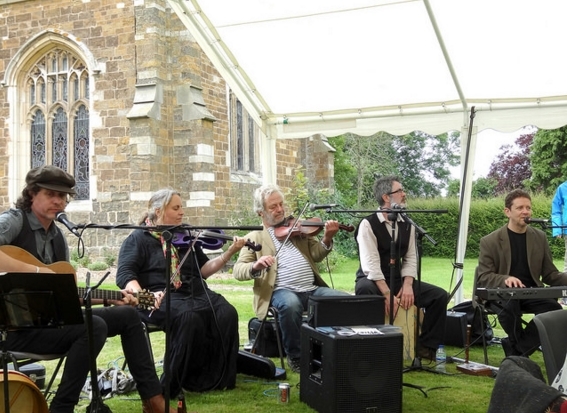 At the core of this Leicestershire-based group are Chris Conway and Dan Britton, who around 22 years ago were part of Storm Thieves, a Crosby, Stills and Nash style harmony group. 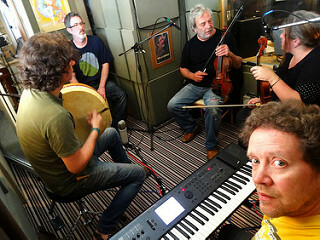 However, by the end of the 80’s and early 90’s there was a burgeoning Irish music scene in the county’s pubs and clubs. Realising there was a huge demand for this style of music the two young men decided to change their own musical direction and quickly set about establishing themselves as a fun-loving, Irish music playing outfit. 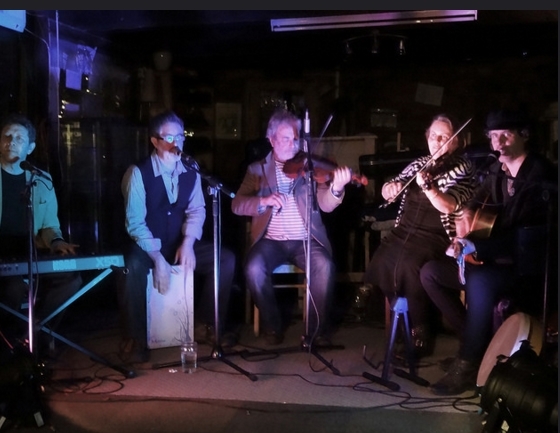 To expand on this Govannen is a/ the perfect choice for ceilidhs and barn dances b/ one of the best Celtic music bands in the UK which perform traditional and contemporary Irish songs including songs written by various band members c/ a new age instrumental group with a beat. It has resulted in worldwide album sales of 10,000 and two awards in the USA. Chris said: “We were approached by a new age record company who wanted a Celtic album and we wrote the Healing Waters album for them but at that time we had no band name. We started looking for some suitable names and found Govannen, the name of Celtic God who was a blacksmith who made impregnable armour and anyone who drank from his sacred cup would no longer fear age and infirmity. It sounded like a good name for the band and ten years ago, that is who we became. 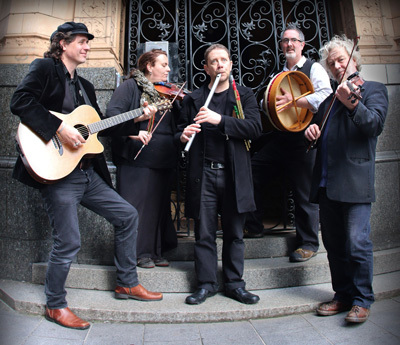 We have made several albums in this genre and our next, Celtic Air, will be complete our series of the four elements, earth, water, fire and air. Having known each other for so long, although many still follow individual careers and are members of other groups Govannen is a close-knit unit. It places the emphasis on fun by playing good-time music to entertain the audience at every concert or event – some 60 to 70 a year. I asked Chris what sort of venue he enjoys playing most of all. My next question to Chris was to delve into what generates this feel-good factor within the group. After due consideration about what libel cases he might generate, he agreed to describe the members of Govannen and started with his long-time duo partner Dan. Although Chris said he is the pianist – he regrets not having a real piano on stage but uses what he describes as a ‘keyboard in a box’ – he is a multi-instrumentalist. Among the many other instruments he can play are 9-string acoustic & electric guitars, low, tin & twin whistles, kalimba, theremin and zither. This ‘getting by’ has resulted in Chris writing, recording and producing solo albums in genres ranging from his singer-songwriter material and jazz to electronic and Filk – science-fiction folk music. Truly a man of many talents which, when combined with the differing musical backgrounds of the band members result in the excellent sounds which resonate from the stage at any Govannen concert. Audiences can still be surprised and amazed as these talented musicians switch seamlessly in the twitch of an ear (a more appropriate phase when discussing music than the oft used blink of an eye) from one style of music to another. 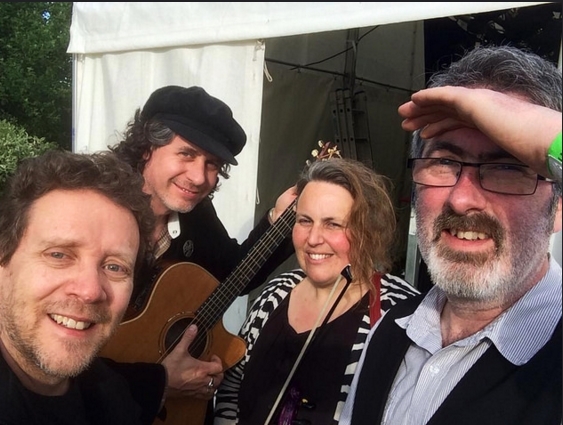 Chris promises the Govannen concert at Kettering Arts Centre will be a fun and entertaining evening with a lot of singing (join in with Whiskey in the Jar if you will), and a lot of Celtic dance music. He said: “We will be bringing a lot of different things to the table, come and join us. I am sure that after listening to this infectious music anyone who has not already done so will want to book tickets for the concert on Saturday, March 5th – for further details and booking information please click on our event page here.